The charity Lives Not Knives discouraged young people from carrying knives in a tactical ad for Mother's Day. 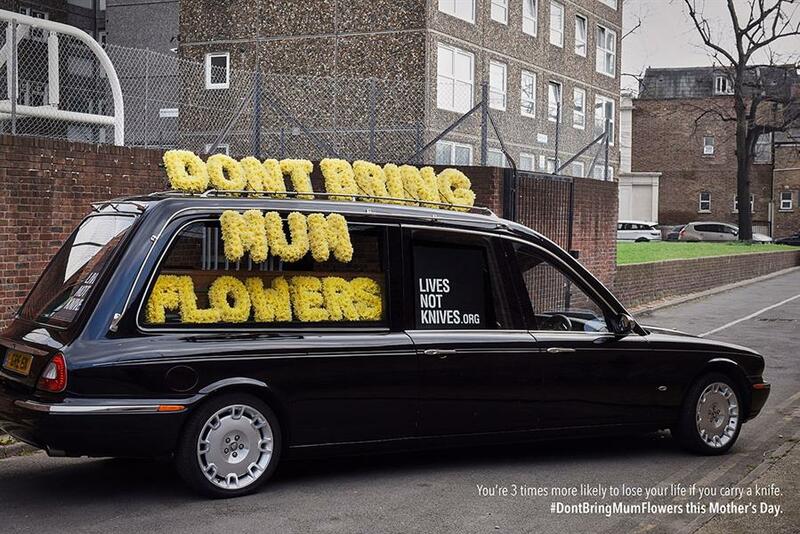 The message of "Don’t bring mum flowers" was displayed in funeral flower wreaths on a hearse, which drove around residential areas before visiting Parliament Square in London. The work was created by John Osborne, Rickie Marsden, Martyn Goh and Claire Phillips.